All people within a company who have full view of the cap table can create and save models. At the bottom of the modeling screen is a bottom bar with options to save models and load existing. Anyone can save a model for themselves but only those with admin rights can share them. 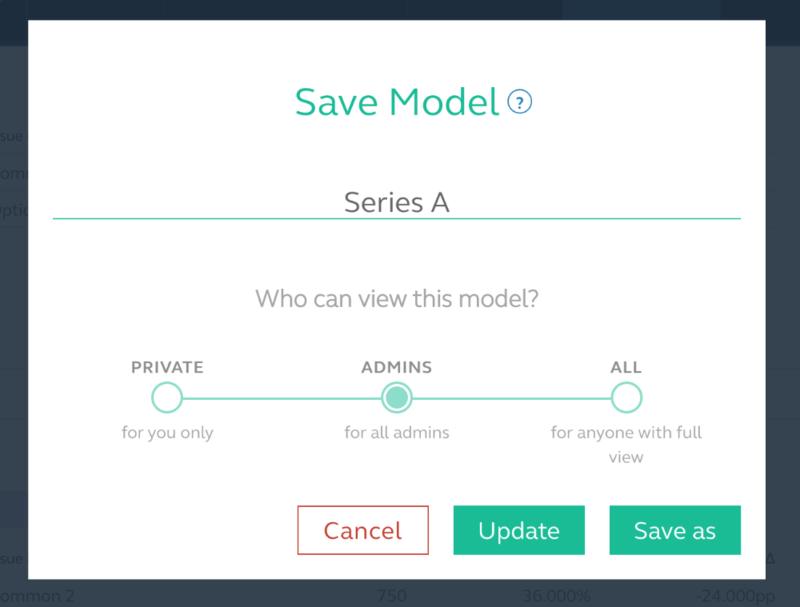 Admins: All admins/owners of your company can see and edit the model. All: All contacts within your company with full view of the cap table can see the saved model. Only admins can edit it.